I am in my last semester at Saint Louis University and will be receiving a Master of Athletic Training degree in May. I have been fortunate to spend this entire year at Parkway South High School with Mike Tzianos, M Ed, ATC, from Mercy Sports Medicine. Mike has been an awesome mentor to me. He has given me a lot of freedom this year to evaluate and treat athletes under his supervision. This freedom has helped me to develop my skills and is preparing me for after graduation. Along with developing and perfecting my skills Mike has taught me a lot. He is always teaching me techniques and skills that are unfamiliar to me. One of the major skills Mike has helped me develop this year is communication with athletes and with parents. Specifically talking with parents had been something I hadn’t done until coming to Parkway South. I have learned a lot from just watching Mike on how to educate parents on their child’s injury. I have been able to talk to parents myself to improve my communication skills. I also have enjoyed interacting with Ashley, an undergraduate AT student at Lindenwood University. Overall, my experience at Parkway South and with Mike has been awesome! I am getting great clinical experience and learning at lot. The college experience at Lindenwood University - Belleville has been an amazing experience thus far. 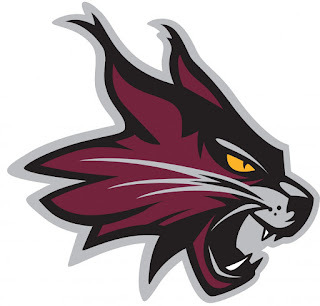 Shifting from a high school to a college has been an adjustment, but the plethora of modalities, staff, and diligent, hard-working student athletes has been a pleasure to be around. Life in a larger athletic training room has its challenges such as: staying organized, staying clean, and addressing less than full functioning appliances. However, it also has its perks including: more space for rehab, extra plinths, increased storage space, a more inviting atmosphere for student-athletes, and much more. The benefits outweigh the inconveniences by far, and we have never had a problem performing treatments before and after practices due to lack of space. The staff, athletes, and AT students have definitely appreciated its utility. One of the main differences between being a athletic training student at a high school compared to a college is the number of sports teams you are assigned to. In a college setting, you typically are given one, maybe two or three sports, while you are the athletic trainer for all teams at a high school setting. At Lindenwood, we were all assigned to one sport. One of us is with wrestling, one with rugby, another is with baseball, and one with Men and Women’s ice hockey. By being with different sports, this is giving us the opportunity to have different experiences despite being at the same clinical site. This also provides us with opportunities to learn from our peers as we share techniques and teachable moments when we are all together. 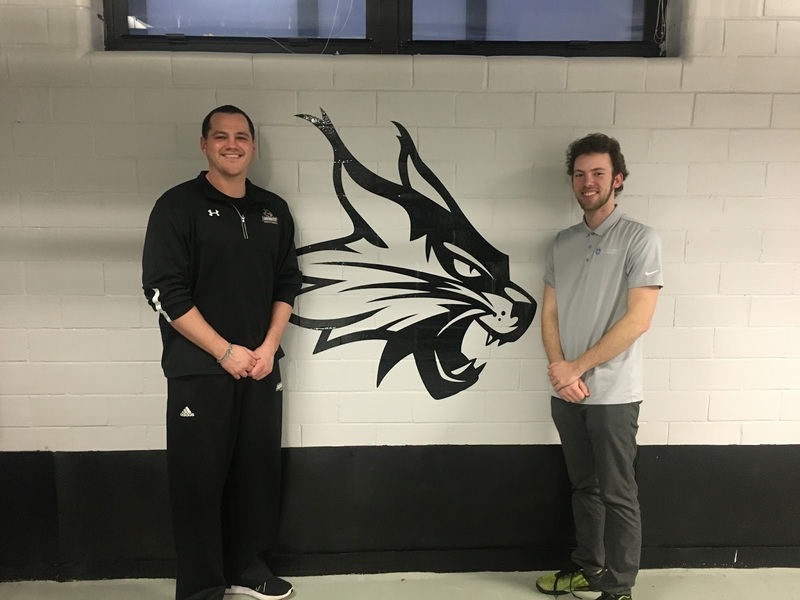 We are grateful to be given the chance to share a learning environment with our peers in the Lindenwood-Belleville Athletic Training Education Program. We are very lucky to have opportunities to mentor and learn alongside them. Champions. I really enjoy being around the student-athletes as they all have very diverse backgrounds. We have student-athletes that hail from Europe, Canada, and Australia. Each student-athlete brings unique experiences and talents to their teams. Being at the ice rink has forced Tim and I to become creative with our intervention strategies as well as our equipment and space. There is never a bad day at the rink as we are always having fun and learning every single day. 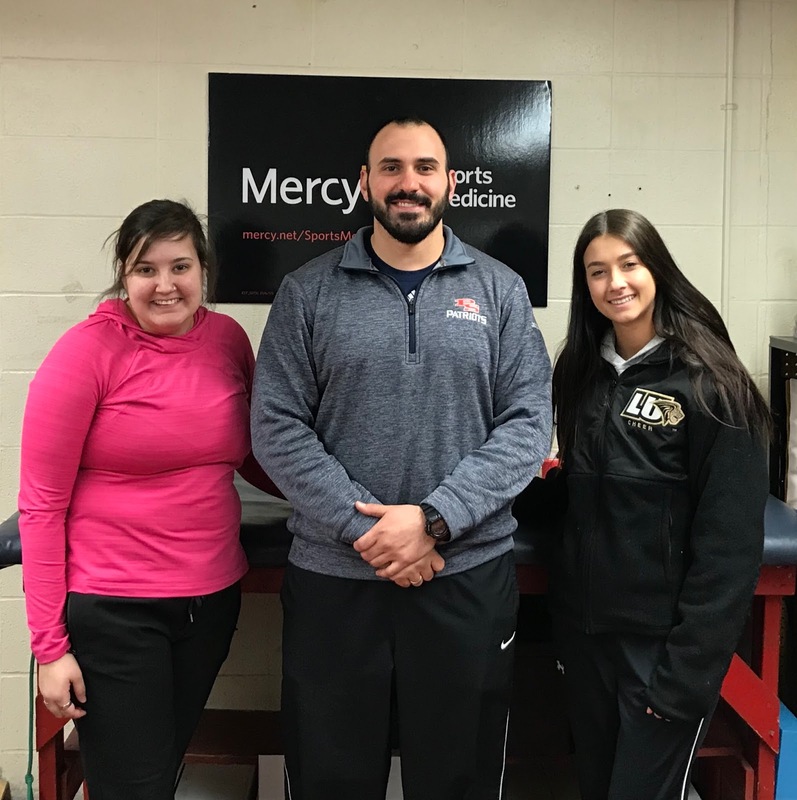 Going into my second clinical rotation at LU-B, I have been placed under the mentorship of Lauren Randazzo, MA, ATC, CSCS. 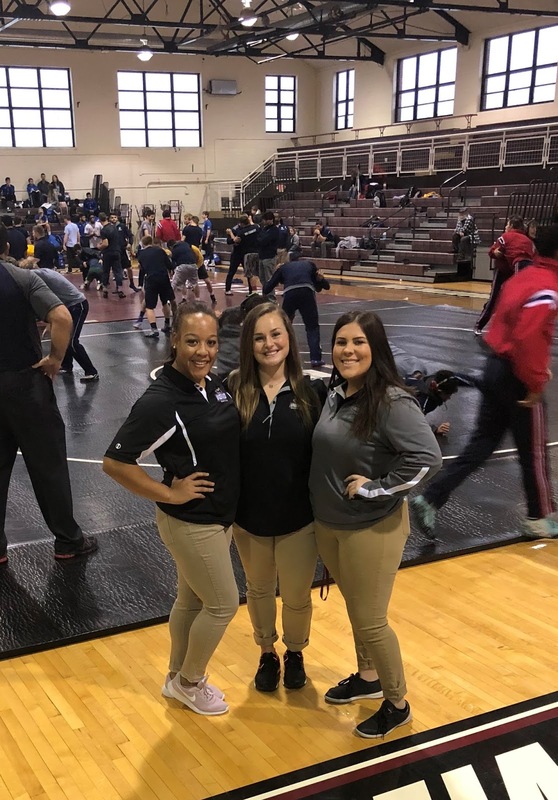 Everyday during the week, Lauren and I, along with another AT student at Lindenwood, facilitate rehabilitations, prepare athletes for practice, and then head up to both men and women’s wrestling practices. Being a part of the wrestling team at LU-B has been an unexpectedly great experience. Coming in, I was not familiar with wrestling in the slightest bit, but now I have gotten really into the sport. On February 17th, LU-B hosted the Men’s Wrestling AMC Conference Championships. Despite it being a fifteen-hour day, it ended up being an amazing opportunity where I was able to learn a lot. At the end of the day, three of our wrestlers placed second, while one of them advanced to Nationals. Not only is there success on the men’s team, but one of the athletes on the female team recently became the National Champion. As previously stated, this experience has been a great one, and everyday I am learning and having fun. I am so grateful. Never would I think that I would be helping out a sport such as men’s rugby. It is such an aggressive sport that I was honestly intimidated by. But I have had the opportunity to get to know a couple of the athletes and they treat me with respect and like part of their close-knit family. While I have had the ability to work with good athletes, I have been even luckier to have Sarah Hayden MAT, ATC as my preceptor. She is always available to answer any questions I may have and has enough confidence in me to wait until I ask for guidance or consider my answer as a possible option even if it isn’t her first choice. I am not always confident in myself but having someone behind me as a guide towards on hand learning is definitely the most beneficial way for me to learn. I am having a great amount of fun with the people that surround me at this clinical site and I cannot wait to see what else this semester has in store for me there. Experience with the baseball team at LU-B began as a slow recovery for many injured players at the start of the season. 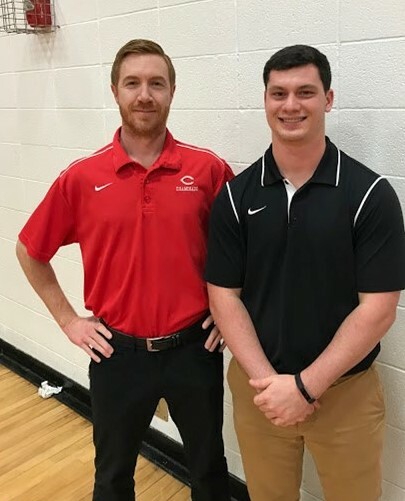 Under the guidance of Stephen (Curtis) Wilkerson MS, ATC we have been able to successfully rehabilitate many of the previously injured players back to their full potential. We have spent more time this year at baseball practices than spent in previous years, and it has given us the chance to get to know the guys more and examine what makes some individuals more prone to injury. Being around Curtis, the other Lindenwood students, and the members of the baseball team has been a very rewarding experience, since we can all put forth our knowledge to keep the team healthy. Be it at double headers, practices, or in the AT room, injury prevention and rehabilitation are always being performed. Being at Christian Brothers College (CBC) High School for the academic year has been a wonderful opportunity! At CBC, I am currently covering volleyball, track and field, and baseball. 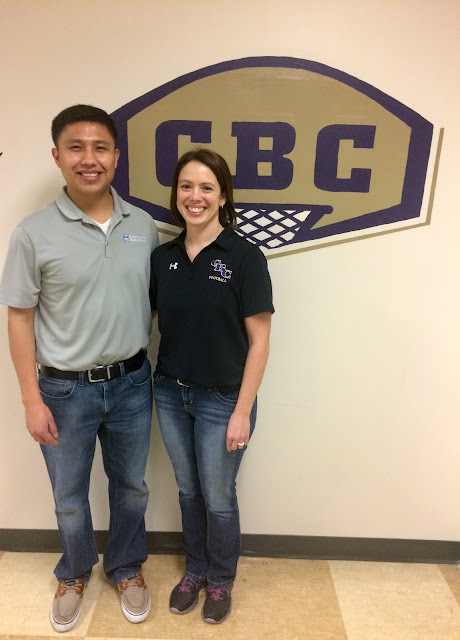 My preceptor, Kristen Jeans ATC, LMT, who works at CBC through Mercy Sports Medicine, provides an immersive and interactive learning environment, which has allowed me to gain confidence, knowledge, and skills both academically and clinically. As a Licensed Massage Therapist (LMT), Kristen has been able to enhance and improve my manual therapy skills. Thus far, I have learned various techniques that have been beneficial during my evaluation and rehabilitation approach for athletic injuries. As a strong believer of manual therapy, I have learned essential skills that I will continually apply in my clinical practice. Having the opportunity to build my skills under the guidance of a remarkable preceptor, like Kristen, is magnificent! Kristen provides the time, motivation, and passion to teach me new skills, despite the busy hours in the training room. As a student, it is great to have a clinical instructor that is willing to discover and learn new skills. At CBC the ability to learn and grow as a clinician is mutual for Kristen and I, which has been the most rewarding experience for me! Last semester, I was in a collegiate setting with a plethora of modalities available. Now, I am in a high school setting with minimal modalities so adjustments were necessary for me to transition in to the new setting. The lack of modalities requires a more hands-on approach which, in my opinion, requires more one-on-one interactions with the athletes, and because of that, getting to know the athletes has been much easier. It has also allowed me an opportunity to work on my skills with evaluation, taping, and rehabilitation. Sometimes, however, these can get quite overwhelming being that there is one athletic trainer and hundreds of athletes who may need our care. My preceptor, Danielle Zee-Cheng, ATC, has challenged me to understand the dynamics of athletic training. She allows me to evaluate every athlete that comes in, and afterwards, asks a multitude of questions pertaining to what I did/didn’t do and why I did/didn’t do it. She told me she wants me to understand my thoughts and solutions, which I believe is going to benefit me greatly long-term because she requires me to verbally interpret my thoughts and articulate them in a way that makes sense to us and the athlete. All of this is going to be great practice for my evaluation and my communication skills with, not just the athletes, but with health care providers, as well. She has also allowed me to practice my documentation skills of each evaluation I do, which is another skill I lack that she is helping me improve on. Having hundreds of athletes, one athletic trainer, and a small space/limited tools to work with, things can get overwhelming, but the interactions I have had thus far with Danielle, the athletes, and members of the Lindbergh school district have made it an enjoyable experience. Lindbergh has a rich, winning tradition that I’m glad to be a part of, and I’m hoping the spring sports season is something to look forward to. Compared to the fall season, Bishop DuBourg High School does not have as many winter sports, so there are not as many events during the winter season. 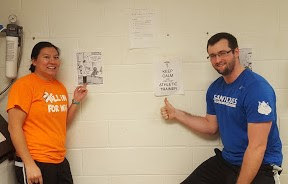 However, this allowed us to form an close relationship with our preceptor Nathan Jarman ATC, from SSM-SLU Hospital, the athletes participating in sports. These relationships we formed seemed to help make any evaluations and rehabilitation programs we did go much smoother, as we were able to build trusting relationships with the individuals on the teams. There were no significant injuries during the season, luckily, so most tasks that were completed were simply helping with chronic pain issues and muscular fatigue injuries often associated with the end of the season in any sport. We also were able to work with the girls soccer team in their off-season development in order to prepare them for the eminent season. We spent weeks working on their cardiovascular endurance and their form for various lifts before we eventually progressed into working sprints and letting them lift with weight. Prior to tryouts for the season starting, we were able to get in about two good weeks of strength training to those players that were showing up. As tryouts for spring sports have started, we are now beginning to work with the boys basketball team with a strength training program. It will be interesting to see if they can make the same amount of progress that the girls team did. We look forward to working with a more variety of sports this spring, as well as helping out with strength training programs for any off-season teams. 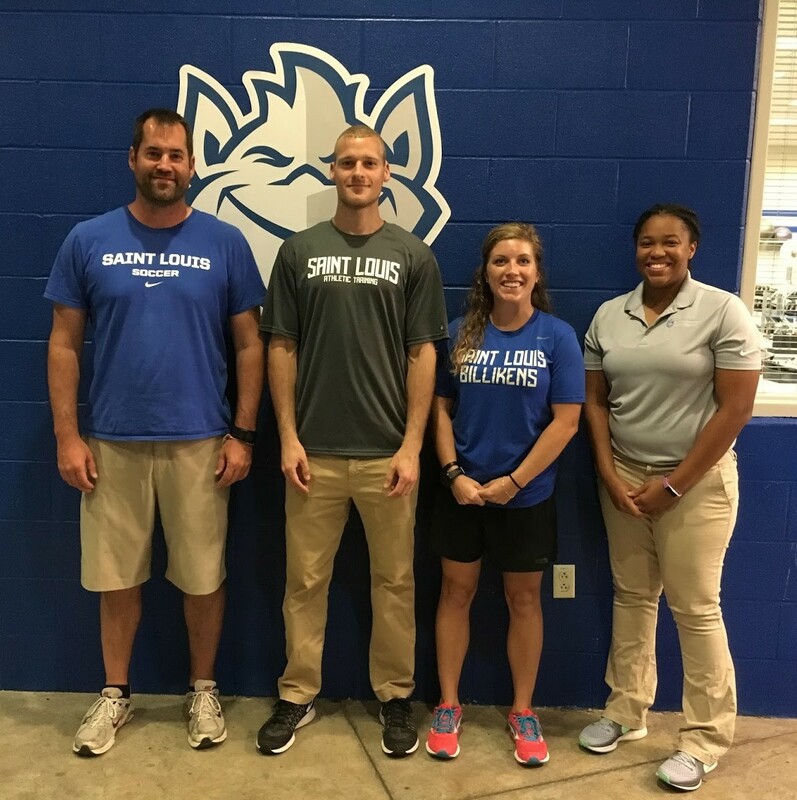 The Saint Louis University Department of Athletics provides a wonderful clinical experience for all of us! Currently three 2nd year (PY2) students and six 1st year (PY1) students with the Billikens and we have been given the opportunity to get experience with multiple Division 1 sports teams during their winter and spring seasons. Our preceptors are: Jonathan Burch, ATC, Ben Heimos, ATC, Lizzy Kienstra, ATC, Petra Knight ATC and Tammy Pastor ATC. They have allowed each of us to have very unique clinical experiences and has exposed us to a diverse group of athletes and other health professionals. 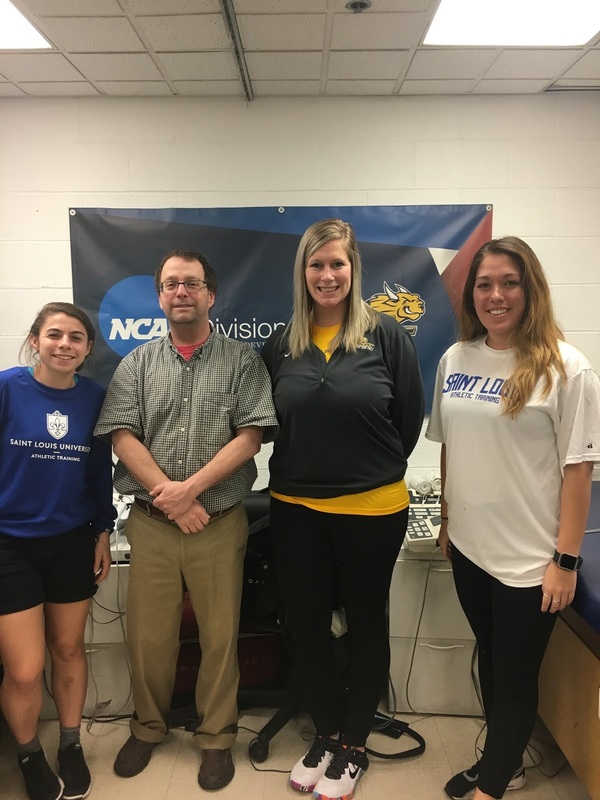 As PY2s, we have enjoyed two wonderful semesters a SLU, which has been great for our development as future athletic trainers. We have learned so much from our respective preceptors and they have done a great job of preparing us for the real world. Our preceptors have helped us and allowed us to develop our skill set and gain more confidence by increasing our responsibilities and allowing us to learn through hands-on experience. We have also enjoyed getting a chance to interact and help mentor the PY1s. We know and understand exactly what they are going through, so we welcome the opportunity to help them grow. As PY1s, we cover basketball, baseball, swimming and diving, and track and field. We have learned more about rehab, modalities and how to work with other athletic trainers. At this clinical site we have been exposed to more resources such as laser therapy, SwimEx, AlterG and Normatec, which can improve and expand our skill set. We have the opportunity to develop better relationships with the athletes by being able to see them daily. We have had a great experience thus far by both the preceptors and PY2s helping us build a better understanding of athletic training. 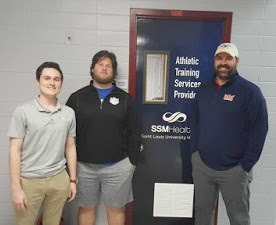 Gaining clinical experience with Dan Herrin, ATC, MAT, LAT, at De Smet Jesuit High School under Mercy Sports Medicine has been pivotal in my final stages of transition to practice. A slower winter season has allowed me to focus on in-depth rehabilitation for multiple athletes, and continuing to improve evaluation skills. Multiple MSHSAA and club sports have provided a wide variety of athletes, as well as an array of orthopedic injury. An alum of the SLU AT Program, Dan has been a valuable mentor in my final semester as a MAT student. His professionalism and compassion towards all athletes and the staff are admirable traits I hope to carry into my own practice soon. Dan’s guidance has been advantageous in my transition to practice, and he has helped improve the skills necessary to become an exceptional healthcare provider. De Smet’s community approach to academics and athletics has been a welcoming experience, and a tremendous environment to learn and grow in. Experiencing healthcare under Mercy Sports Medicine has allowed me to observe a tremendous team-based approach to sports medicine, and has demonstrated a great model for providing excellent care towards all athletes we treat. I am thankful for the opportunity to learn and grow clinically at De Smet Jesuit, and with Mercy. Our time at John Burroughs School (JBS) has been great this semester! The coaching staff communicates and trusts our judgement with returning athletes to play. This allows us to not feel pressured to have the athlete return too early. Our preceptor, Dean Tiffany ATC (also the Assistant Athletic Director) shows us how to effectively communicate with the coaching staff to make sure everyone is on the same page. By having the support from coaches, this allows for a comprehensive rehabilitation program including, but not limited to: core stabilization, flexibility, strengthening, neuromuscular training and sports specific exercises. With all these aspects in mind, we are able to have athletes return to play feeling confident and stronger than before. This is a great environment for us to continue to expand our skills and knowledge in. With spring sports picking up, there is never a quiet moment in the athletic training room. It is great to be at a school with the close knit environment that JBS has. By continuing to work with the same athletes on a regular basis, we are building strong relationships that allow them to put their trust in us as well. We are excited to take on the spring season with Dean to watch these motivated athletes progress, whether it be through their sport or rehabilitation. We are both students in the 1st Professional Year of Saint Louis University's Master of Athletic Training Program. 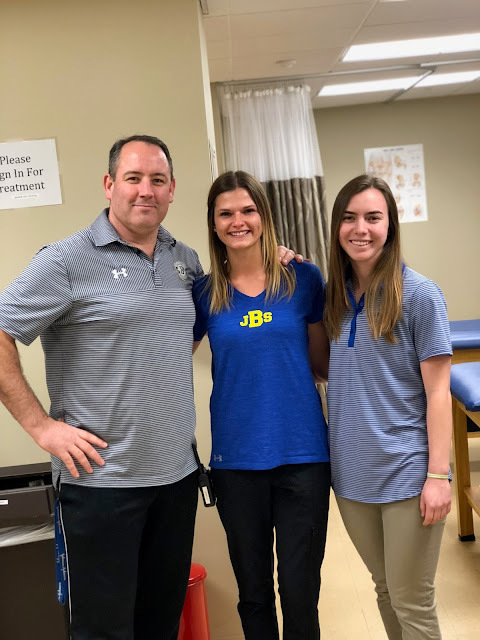 Our Spring 2018 clinical rotation is with Webster University Athletics. We previously were placed at high schools and are transitioning into the college AT room atmosphere. Webster University is a NCAA Division III school located in Webster Groves, Missouri. It is a liberal arts school with approximately 2,500 undergrad students who take pride in their athletic population. Within the past year, Webster has sent their women’s soccer, women’s basketball and men’s baseball to compete in the NCAA Division III Championship Series. We are working with preceptors Jennifer Popken (MS, ATC) and Martin Fields (LAT, ATC). We were limited in the modalities available in our previous high school settings. At Webster University, we have gotten the chance to utilize GameReady, Electrical Stimulation, Hydrocollator, Ultrasound, and a HivaMat. It has been a great hands-­‐on experience working with different modalities and knowing when to apply each one in the rehabilitation process. 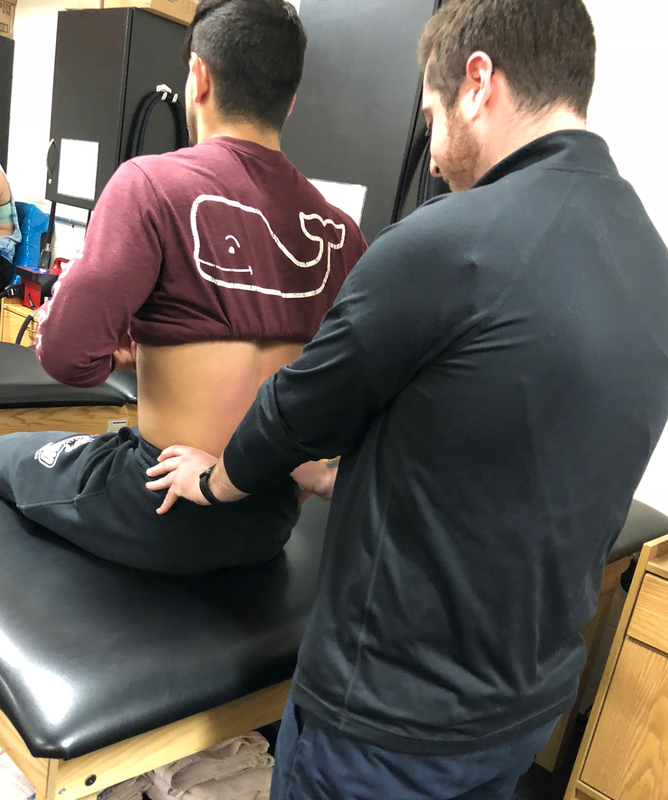 Additionally, we have gotten the opportunity to evaluate athlete’s injuries by performing a full evaluation including general history taking, manual-­‐muscle testing, palpation, joint play and special testing. After assessing the athletes, we interact with our preceptors for additional tips, changes to the process, and any additional feedback. It is a great learning environment that encourages us to think on the spot and fully apply what we've learned in the classroom in the clinical setting. In the upcoming months we will be taking care of spring season athletes such as baseball, softball, tennis, and outdoor track and field teams. 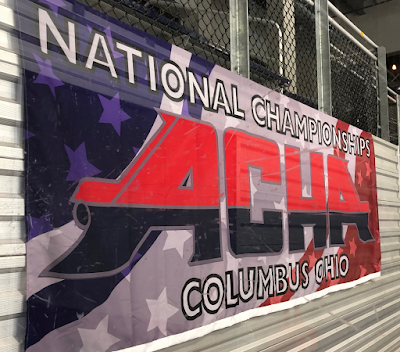 An interesting aspect about these upcoming teams is they all practice off site, which makes scheduling very important for rehabilitation and treatment. We are both very excited as the women’s basketball just won the SLIAC conference championship and are headed to the NCAA tournament this week! With only two AT's and over 300 athletes, it has been a very busy AT room. We are excited to continue our clinical education process and grow as Athletic Training students with the Webster Gorlocks. At Chaminade College Prep, I’ve had the opportunity to learn from head athletic trainer Scott Kugler, ATC. Scott is a great mentor, who gives me a lot of freedom when it comes to evaluating and rehabilitating student athletes. During my time at Chaminade I have learned that patience and communication are vital. 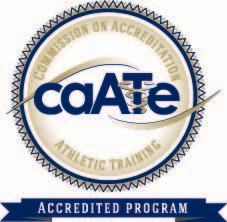 When I first started all I wanted to do was evaluate and diagnose athletes, because becoming a better evaluator was one of my goals for the semester. I quickly learned from observing Scott, and doing a few evaluations of my own, that it’s not about only one thing. In order to become a better evaluator I needed to slow down and make sure that I had gained all the information necessary to move on to the next step of the evaluation process. It was an important building block for me because learning this new skill allowed for me to not only provide an accurate diagnosis, but it also allowed for me to rule out other differential diagnoses. I’m still learning new tricks of the trade, but I feel that personally I get better with every evaluation because I’ve learned to challenge myself. I have also learned how important it is to be a good communicator. By observing Scott, I have been able to pick up on some key conversations he has with his athletes, coaches, administrators, and other athletic trainers. I’ve learned that it is important to be able to explain what it is we are doing, seeing, or feeling to athletes that have questions because it allows for them to buy-in to what we are doing. I’ve also learned that keeping a dialog with the coaches about players’ health, how a rehab is going, or certain preventative measures athletes should be taking both in season and out of season. I have also picked up on conversations Scott has had with administration or other athletic trainers about different ways to update the Chaminade athletic training room, and why these upgrades might be necessary. Overall, my time at Chaminade has been quite a learning experience. I try to challenge myself each day by asking Scott different questions and trying to pick his brain about what it takes to be a certified athletic trainer. Chaminade is a great environment for students like myself to gain knowledge and expand upon their skills.